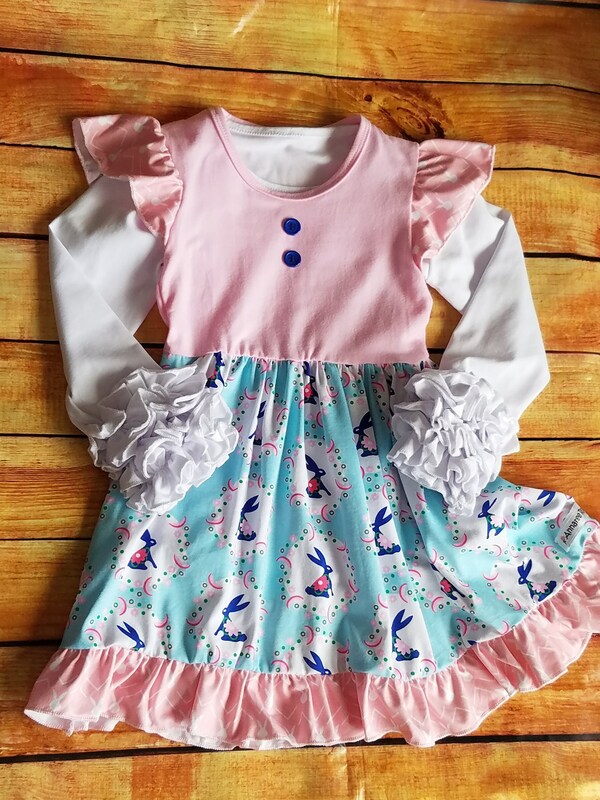 Girls Easter Bunny Dress, Flutter Claire Dress, Bunny Print, Little Girls Soft Cotton Blue and Pink Summer Dress. 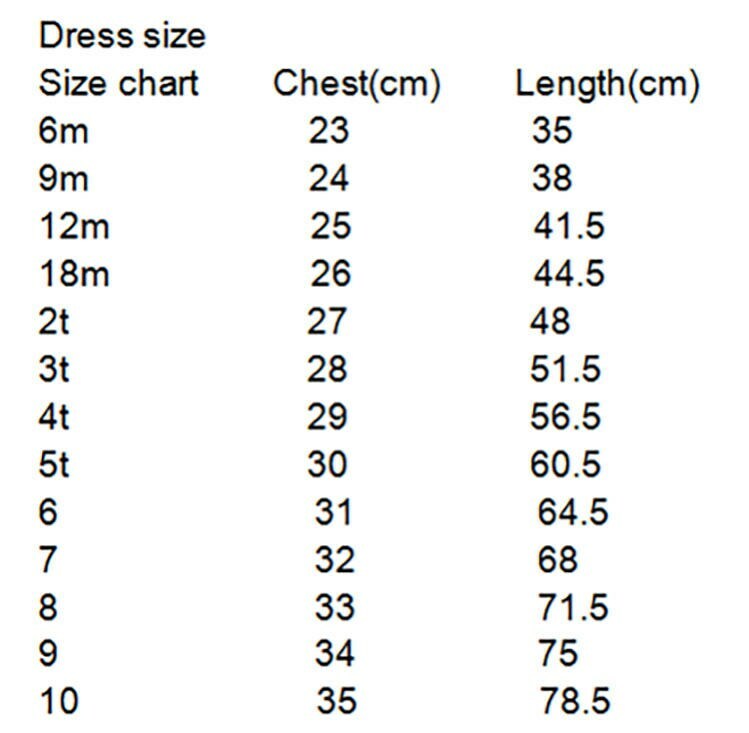 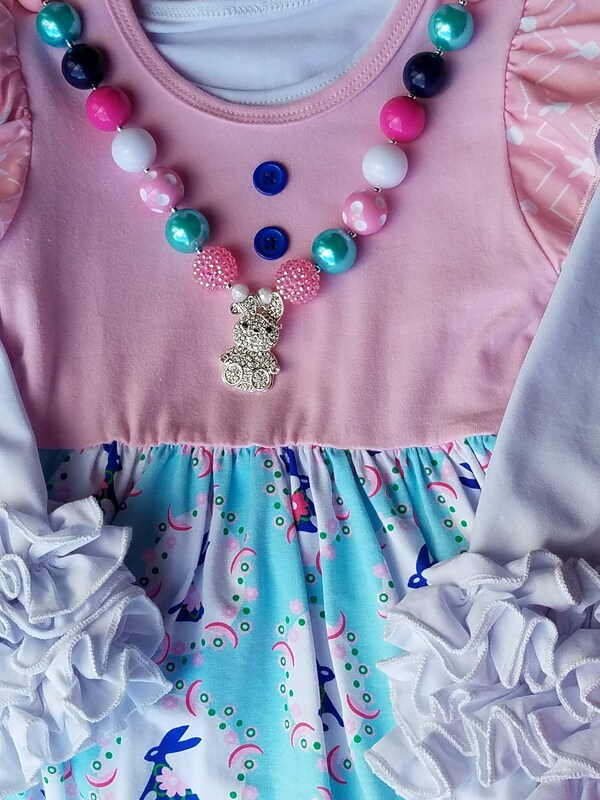 Toddler girls dress. 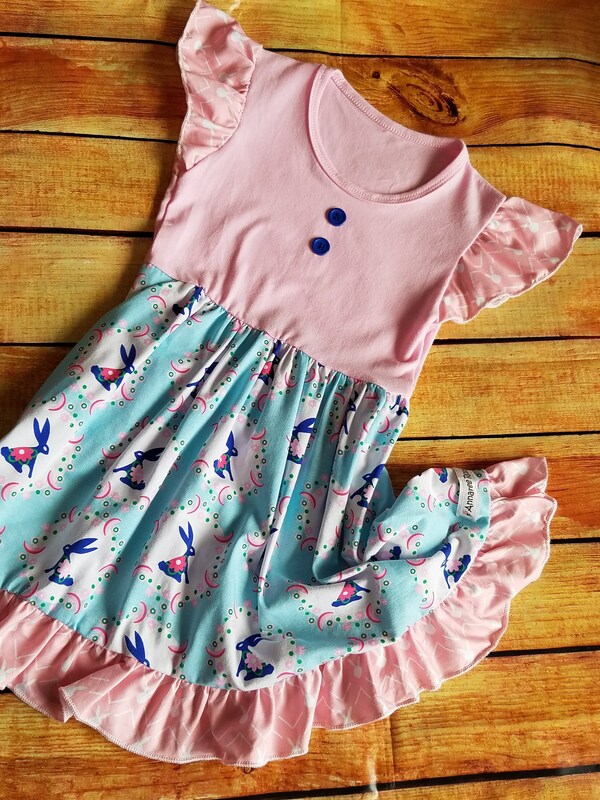 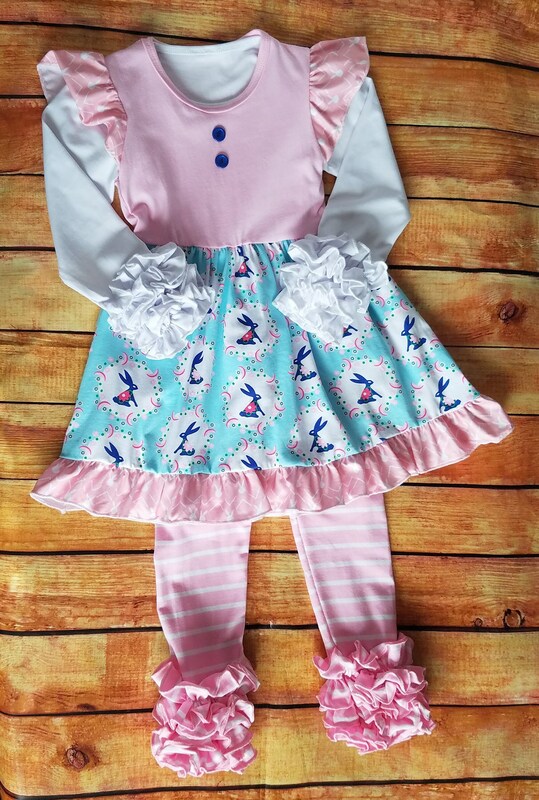 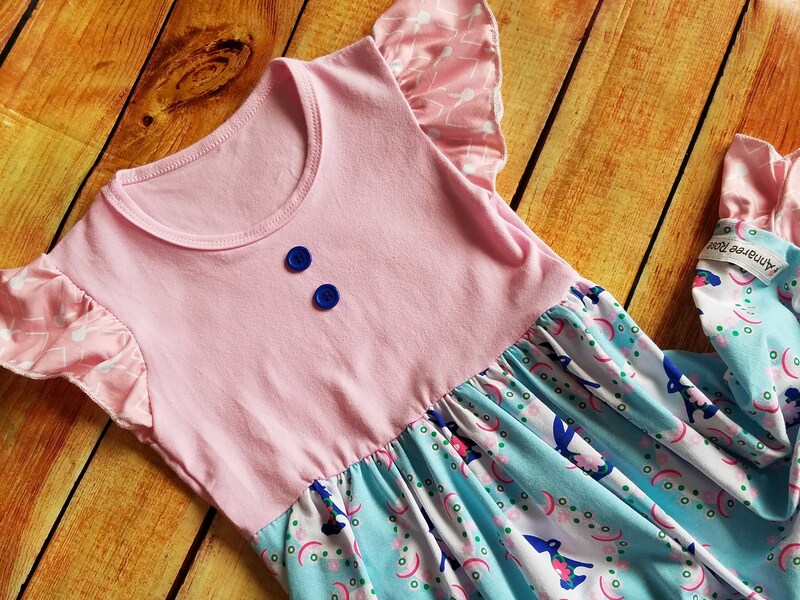 This Beautiful Annaree Rose Girls Soft Cotton Bunny, Claire Dress, Blue and Pink bunny print dress. 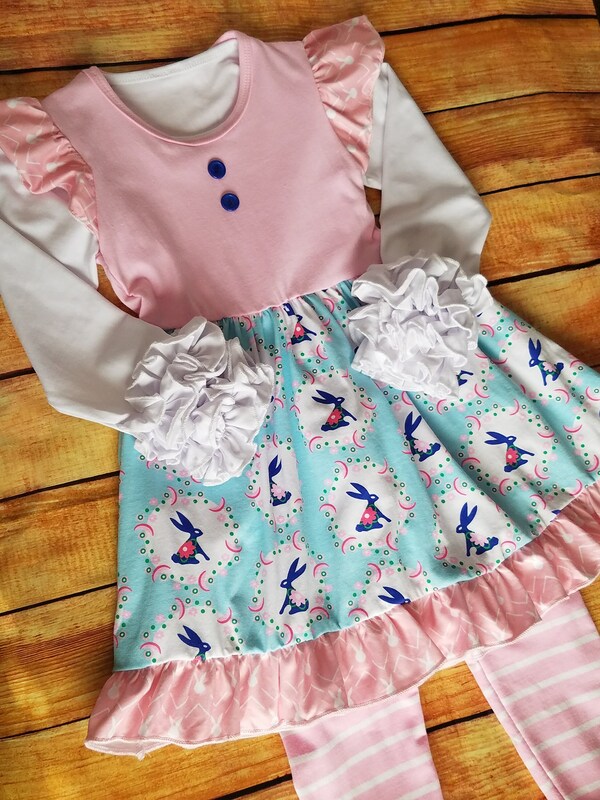 This listing is for the Bunny Clair flutter dress only. 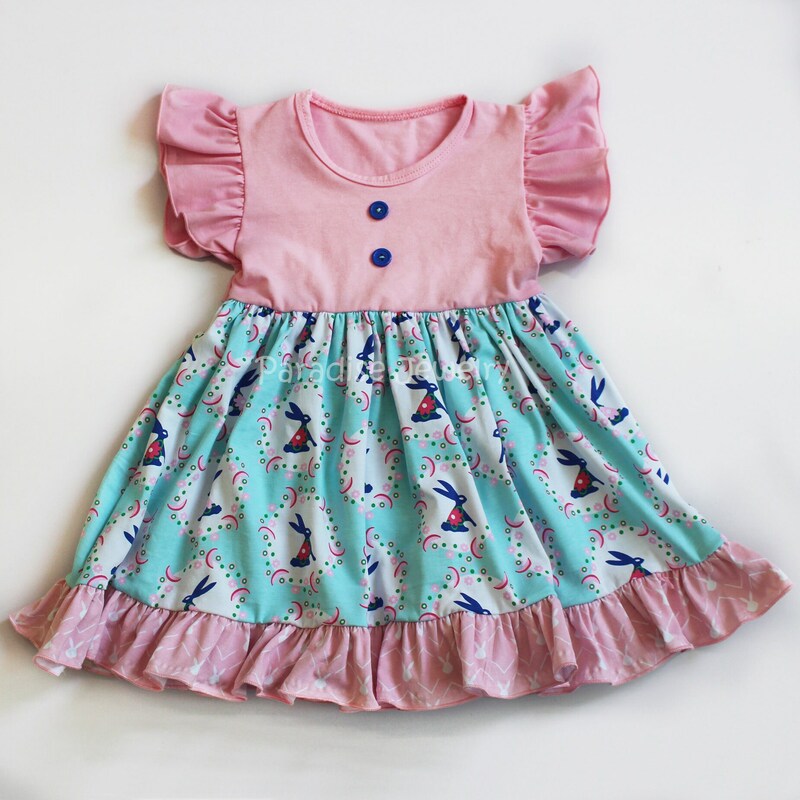 We carry long sleeve tops and legging pants to layer under our flutter dresses for colder weather. 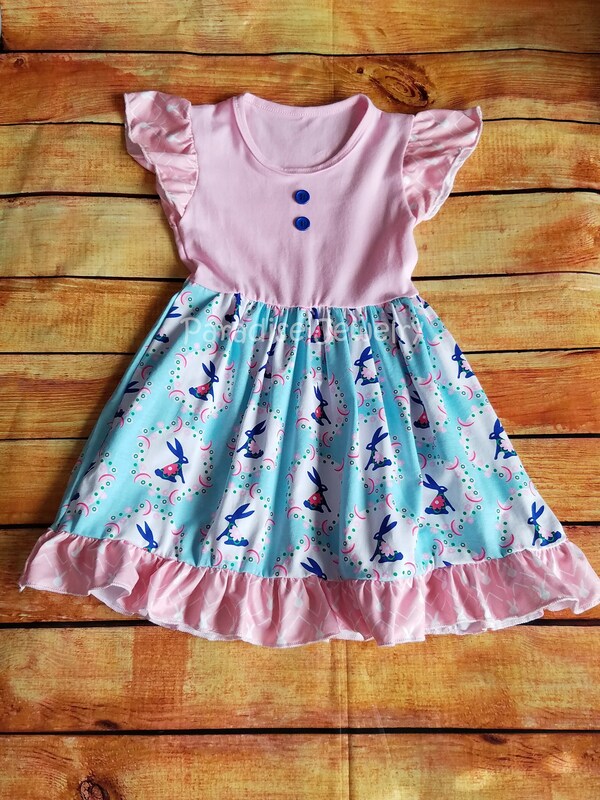 Easter Flutter Dress.